Why is Broccoli a superfood? Broccoli has dozens of nutritional and medicinal benefits. What distinguishes it from other greens is that it has all the required nutrients needed for a healthy pregnancy. For vitamins it has A, B6, B-12, C, D and E, while for minerals it offers iron, zinc, calcium and magnesium. Besides, broccoli is a powerhouse of antioxidants and phytonutrients. The fact that it can be consumed raw or cooked, also makes it a low maintenance vegetable. How does it benefit the mother? Originally grown in Italy, the consumption of broccoli spread widely from the 17th century onwards, and the population of United States consumes it on a large scale today. Being rich in iron, broccoli prevents anemia in the mother. Calcium strengthens bones and prevent osteoporosis, a common problem faced during pregnancy. Broccoli is rich in glucoraphanin and sulforaphane; they help in minimizing skin inflammation from exposure to ultra-violet rays that can be harmful to the baby. 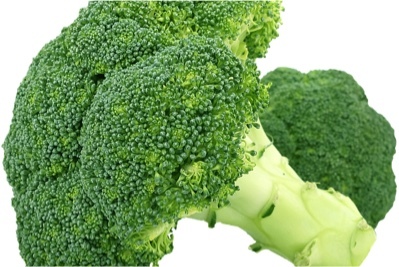 Vitamin C and phosphorus in broccoli boost the mother’s immunity. Another great fact about broccoli is its anti-cancer properties, because of the presence of phytonutrients, which help in protecting the mother from breast, lung, and colon cancer. How does it benefit the baby? Broccoli is rich in folate and thus protects the baby from various birth and neural tube defects, like spina bifida. The antioxidants present in broccoli protect the tissues, cells, and DNA of the baby, while vitamins A and E enhance the process of eye formation. What happens if you miss out on these nutrients? Missing out on broccoli means missing out on providing essential nutrients to yourself and your baby, thereby increasing the risk of various deficiencies. While absence of iron can cause anemia in the mother, low calcium levels increase the risk of osteoporosis and osteopenia. Therefore, adding broccoli to your diet during pregnancy is a must-do. How much to consume during pregnancy? During pregnancy, a woman needs to add another 300 to 400 calories per day to her diet, in addition to her usual calorie intake. The recommended daily dose of folate is 400 to 600 micrograms. Broccoli is a rich source of folate and ½ cup of cooked broccoli contains 50 micrograms of this nutrient. Therefore, 3 well-timed servings of 1 cup cooked broccoli will equal to 300 micrograms of folate and meet your daily requirement of folate during pregnancy. Why is Spinach a superfood? Spinach is a pregnancy superfood because pregnant women and their fetuses need 98% of the nutrition available in spinach. It is a complete package of fats, carbohydrates, proteins, vitamins, and minerals, thus making it an obvious choice for vegan mothers. Spinach, which was first cultivated in the Middle East, now has the strongest consumption in Asia, followed by US and Turkey. Vitamin B1 and B2, also known as thiamin and riboflavin respectively, are present in spinach. They help in regulating the nervous system and maintaining energy levels of pregnant women. Vitamin K, on the other hand, prevents blood clotting in the mother. During pregnancy, the mother goes through a lot of hormonal changes that can take a toll on her bones and muscles. Spinach contains glycolipid, an anti-inflammatory agent that provides relief from bone and muscle ache during pregnancy. The blood pressure levels of the mother during her pregnancy can prove to be fatal. Nitrates present in spinach help in lowering blood pressure levels and avoiding any complications. Spinach being rich in folic acid reduces the risk of premature labor and births. It also contains a lot of beta-carotene that helps in the development of the fetus’s lungs. The calcium present in spinach assists development of the baby’s bones. 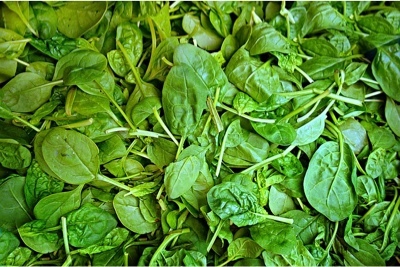 Absence of nutrients found in spinach during pregnancy exposes the mother to a multitude of diseases. The complications could range from eye cataracts to ovarian cancer. Besides, pregnant women may also be exposed to gestational diabetes and increased risk of fertility disorders. Spinach is a great source of iron and calcium. Recommended iron and calcium intake during pregnancy is 27 mg and 1200 mg, per day, respectively. A cup of cooked spinach contains 6.5 mg of iron and 245 mg of calcium. You can accordingly add spinach to your diet during pregnancy. Why is Brussel Sprout a superfood? Brussels sprouts make a wise eating choice during pregnancy because they contain nutrients like vitamin C and K, folate, omega-3 fatty acids, copper, and potassium, you and your unborn baby need. Fiber in brussel sprouts helps keep constipation, a very common problem found in most pregnant women, at bay. Brussel sprouts were first cultivated in Ancient Rome. From 13th century Belgium to 16th century Southern Netherlands, the consumption of brussel sprouts eventually spread to different parts of Europe. Today, brussel sprouts make a popular choice among Britons making UK the largest consumer of brussel sprouts. 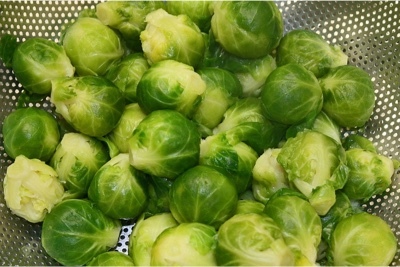 The fiber-related components in Brussels sprouts binds with the bile acids in the digestive tract that result in lowering cholesterol levels of the mother. Brussels sprouts are a good source of soluble and insoluble fiber. While the soluble fiber helps in preventing gestational diabetes, the insoluble fiber regulates bowel movements and lowers the chance of digestive problems. According to the American Pregnancy Association, iron present in Brussel sprouts decreases the risk of low birth weight in your infant. Folic acid in brussel sprouts increases cell growth formation in the unborn baby. Brussels sprouts being low in calories offer protein, vitamins, and minerals in the right amount. Missing out on the nutrients contained in these sprouts increases the chance of premature births and neural tube defects, like spina bifida and anencephaly, in your baby. During pregnancy, a woman needs to consume 25-30 grams of fiber every day. Brussel sprouts are an excellent source of dietary fiber. One cup of boiled or cooked brussel sprouts contains about 4 grams of fiber. Keeping in mind the vitamins and minerals this veggie offers, along with a high dose of fibre, you can accordingly add it to your diet for a wholesome nutrition.